You'll certainly have a great time at Foshay Tower. Minneapolis - St. Paul, the city where it's located, is a well-loved place to visit all year round. Whether you like to reserve your hotel in advance or always end up leaving it until the day before, it won't be difficult finding something that's close by. There are no less than 22 possible accommodations that are suitable. 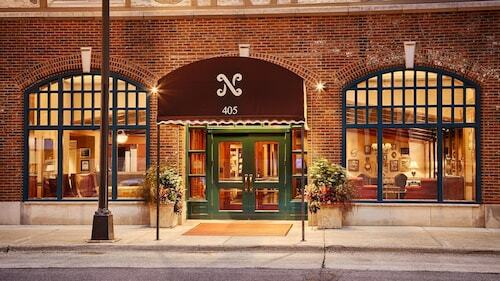 Why not begin searching at the Hotel Ivy, a Luxury Collection Hotel, Minneapolis, Residence Inn By Marriott Minneapolis Downtown and Loews Minneapolis Hotel? The surrounding area's economical solutions will provide you with everything you need at a price you won't be able to complain about. Some of your choices are the Days Inn Hotel on University and the University Inn. If you are the kind of traveler that appreciates a rest from a busy itinerary, a deep, dreamless sleep at one of the upmarket hotels nearby will invigorate your spirits. 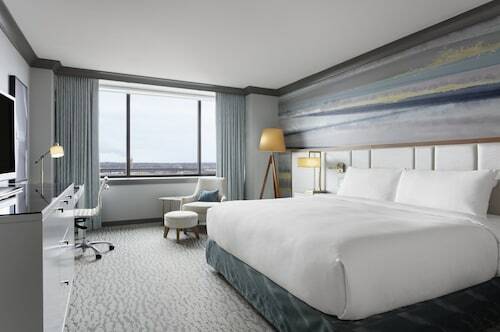 You might want to make a booking at the Radisson Blu Minneapolis Downtown, 0.2 miles (0.3 kilometers) away, or the Kimpton Grand Hotel Minneapolis, situated 0.2 miles (0.3 kilometers) away. 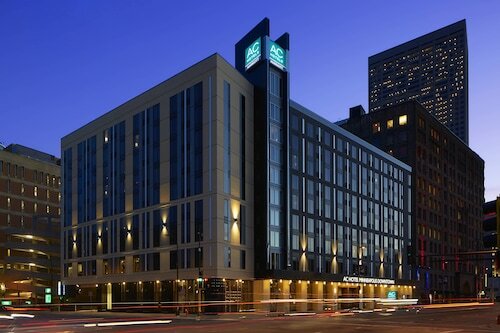 After all that roaming around has totally exhausted your spirits, rejuvenate yourself by sipping a coffee at Keys At The Foshay (114 South 9th Street, Minneapolis), a mere 0.1 miles (0.2 kilometers) away. Checking out a skyscraper is a fun urban experience, and IDS Center is no different. Have a memorable night out with an exciting concert at Minnesota Orchestra Hall. It doesn't matter whether you're a cartoon character, a local treasure or a sports hero, you've definitely made it if you have your own statue! Visit Mary Tyler Moore Statue to see it up close. Enjoy a play and travel to a more imaginative world at State Theatre. If you're a fan of theater, be certain to attend a production at Skyway Theatre. It's easy to catch a train to Foshay Tower. The nearest station, Target Field Station, is just 0.7 miles (1.1 kilometer) away! How Much is a Hotel Room in Foshay Tower? 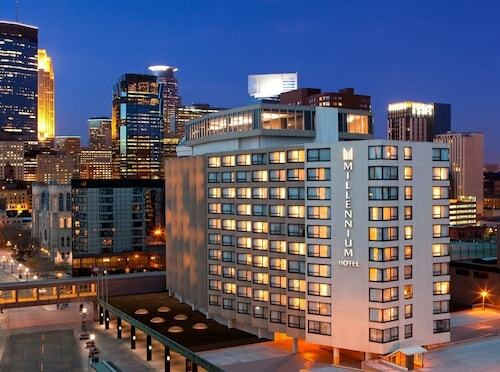 Hotels in Foshay Tower start at $89 per night. Prices and availability subject to change. Additional terms may apply.